Foreigners may get direct access to the kingdom’s $530 bln stock market from next year. That offers investors a good reason to pay attention to the Middle East beyond oil and war. For an emerging market, Saudi Arabia is well regulated, growing fast, and more stable than most. Saudi Arabia plans to open up to direct investment by foreign financial institutions in the first half of 2015, the market regulator said on July 22. “The market will be open to eligible foreign financial institutions to invest in listed shares during the first half of 2015, with God’s permission,” the Capital Market Authority (CMA) said in a statement after the country’s cabinet gave the green light for the move. The CMA said it would publish draft regulations for the reform next month and then hold a 90-day consultation period. Index compiler MSCI said it will consult with investors about adding Saudi Arabia to its broader stock indices and could place it on review for classification as an emerging market in June 2015. If Saudi Arabia only partially opens up in the same way as the Chinese domestic “A” share market, which sets a quota for foreign investors, it would likely be a standalone index, MSCI executive director Sebastien Lieblich said. Foreigner investors outside of the neighbouring Gulf countries can currently only invest in the Saudi stock market using swap agreements through local authorized brokers. They make up less than 5 percent of the market and around 2 percent of turnover. 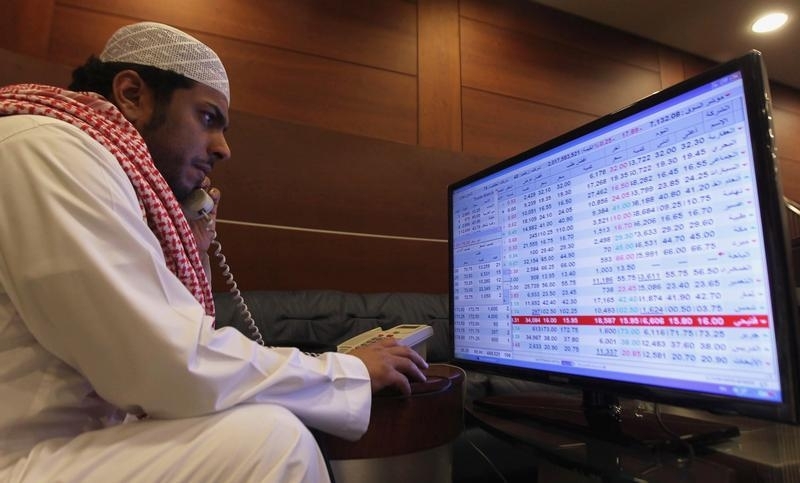 The Saudi benchmark Tadawul index rose 2.8 percent on July 22 following the announcement by the CMA.